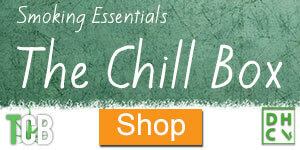 It’s been about a year since The Chill Bud opened its digital doors to the public. Our goal has always been to educate, enlighten and entertain; but to be 100% transparent it was also to get our hands on some dope vapes. 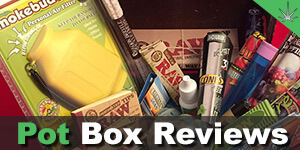 In the past 12 months we have had the opportunity to try and review many of the industries leading vaporizers. So far we’ve amassed over $3,500 worth of vaporizers, which is probably more than the average vape connoisseur. Being an educational site, I believe it’s only prudent to take advantage of this learning opportunity and explain what I have learned after trying such a vast array of vaporizers. This probably goes without saying, but I believe it’s still worth mentioning. 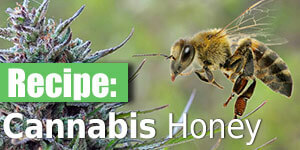 Some people may think there isn’t much to an herbal vaporizer, and they’d be correct. It really all comes down to the battery and the oven, the vapor path and usability are also important though. The year a vaporizer was introduced can give you some clues as to what to expect from the battery specifically. Older models are more likely to have a larger, heavier battery that takes quite a while to charge up between uses. One thing I cannot stand is a vaporizer that lends a plastic flavor to the vapor. This is more common in cheaper models as they generally use cheaper materials, but it’s prevalent in many expensive models as well. Plenty of stainless steel and glass is essential to maintaining an unaltered flavor profile. We have all fallen into this trap at some point, assuming the more expensive model must be better in virtually all respects. I’ll admit that it’s rare to find a vaporizer for under $100 that can stack up with a $200-$300 vaporizer, but they do exist! 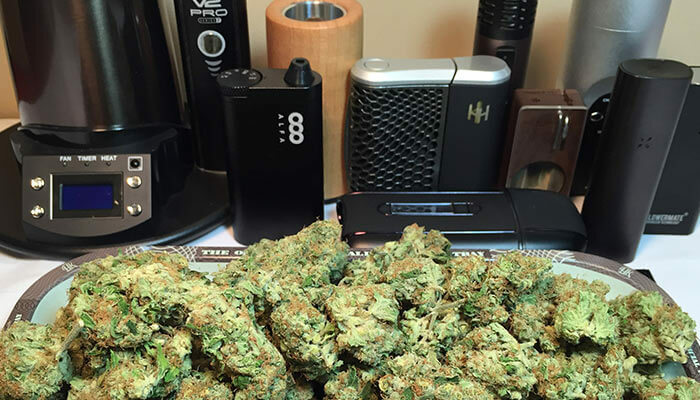 A big portion of what makes a vaporizer worthwhile comes down to your specific needs / wants. One vaporizer specifically comes to mind when discussing price vs. function. It costs over $600 and is marketed as a medical device. At the time, it was no doubt one of the better units I had tried, however it certainly didn’t justify the price in my mind. The vapor quality was fantastic, but nothing that certain vaporizers couldn’t offer at half the price. If it was your only vaporizer, you wouldn’t be disappointed, but if you tried a few more modestly priced vaporizers you might wonder why you shelled out so much money. On the other side of the spectrum, there was one vaporizer that came in at well under $100 and it really blew me away. Sure the vapor quality wasn’t spectacular, but it wasn’t disappointing either. Everything was pretty acceptable all-in-all, which is pretty wild considering the price. If you’re anything like me, you do your research before making a purchase. Especially when the purchase costs as much as a vaporizer and directly impacts your favorite pass-time. A few key things to think about when researching a vaporizer are: vapor quality, efficiency, battery life, build quality, customer service reports / warranty options and aesthetics. Firstly, vapor quality is probably the most important factor. If you get a vaporizer that never delivers a proper drag, it will probably find its way to the back of your drawer and never see the light of day again. 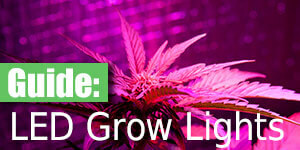 You don’t need massive, thick clouds of vapor in order to assess vapor quality. A lot comes down to the taste & feel of the vapor. Wispy vapor clouds with very little flavor make it difficult to enjoy a vape session and generally don’t offer a very robust high. Efficiency is a term that many people don’t fully grasp. 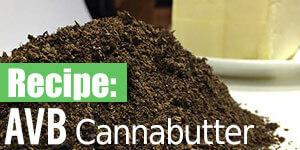 Essentially it means how effectively the vaporizer is heating the herb. You want a unit that will evenly distribute heat throughout the oven without overheating any specific area. This will give you a much more enjoyable vaporizing experience. Vaporizers that overheat or unevenly heat the herb will continue to vaporize your bud between drags, meaning less vapor for you. 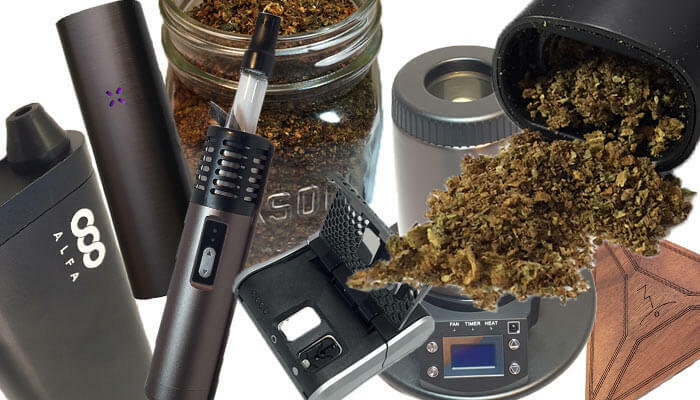 An efficient vape will help you get the absolute most out of your stash. Some units are really terrible for efficiency, but provide a few really thick vapor pulls. Others are super efficient, but provide dozens of unsatisfying pulls. One unit specifically does a really fantastic job of coupling vapor quality with efficiency. In fact it’s probably the most efficient vaporizer we’ve used. The importance of battery life is pretty straight forward. If you’re constantly on the go, you’ll probably be more interested in a vaporizer that holds a substantial charge for multiple uses between charges. Be sure to check out how long it takes to fully charge the unit too, some take up to a few hours which might be a deal breaker for some. Build quality can be subjective, but you want to find a vaporizer that doesn’t rattle around or feel cheap to hold. One vaporizer in particular is our gold standard for build quality, it’s both aesthetically pleasing and rock solid feeling. No surprise that this same vaporizer comes with a decades worth of warranty. Customer service reports can reveal quite a bit about a company. Some companies are known for their impeccable customer service, willing to go the extra mile to ensure each and every customer is not only satisfied but also a part of the family. There are other companies that have customer service reports that read like horror stories, either not interested in helping out their customers or completely unreachable. Should you run into a problem with your vaporizer a week after buying, or years afterwards, it’s nice to know the company will be there to answer any questions and ensure you are happy with their product. Another thing to consider is the temperature range / control. Some vaporizers come with a select few temperature settings that cannot be adjusted. 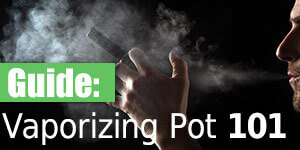 If you plan on vaporizing other herbs, or prefer a specific temperature this may be a problem. I generally prefer a vape that either has a wide range of temperature pre-sets to choose from, or one that I can set the exact degree and adjust as necessary. Some vaporizer guru might tell you one vape is hands down the best on the market, but the “right” vaporizer is different for everyone. Ask yourself a few questions: Do you generally vape alone, with a bud or significant other, or in a larger group? Do you generally vape outdoors, or in the comfort of your home? Do you plan on using your vape with a water pipe or other accessory? How important is stealth? 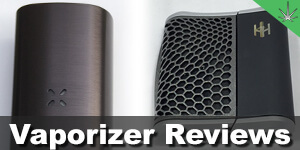 All of these questions are important when deciding which vaporizer is right for you. Personally, I do the majority of my vaporizing at home, but take it on the go from time to time. Usually they’re solo sessions, but sometimes have to accommodate a couple of users. I don’t use any accessories or water pipe attachments, and stealth isn’t an issue. Due to my personal vaporizing habits I generally prefer a vaporizer that puts vapor quality and efficiency above stealth and a compact size. Ease of use is another important factor. This doesn’t just mean how easy it is to turn on or change the heat setting, it means how easy it is to thoroughly clean. Because I vaporize pretty frequently, I want a unit that I can easily take apart and clean with some isopropyl alcohol and a Q-tip. Which Vaporizers Do I Use Regularly? Of all the vaporizers I have tried, there are a couple that I come back to day after day. Others may have provided a great vapor experience, but don’t quite mesh with my personal vaporizing needs. So which vaporizer is my ‘daily driver’? No this isn’t a promotional post for Arizer (I actually have no affiliation with Arizer), it is legitimately my favorite vape. Yes it’s a bit larger than most portable vaporizers, so it’s pretty conspicuous if you’re in public or want to throw it in your pocket. This doesn’t affect me 90% of the time though. It’s the most efficient PORTABLE vaporizer I’ve used. Even with a small oven area compared to some models, you get numerous thick draws with completely unadulterated flavor. The really interesting thing about the Solo being my favorite, is that it’s not even close to the most expensive in our collection. Coming in around the middle of the pack at $199. If I’m on the go I’ll opt for the Arizer Air or Pax 2. The Pax is easily the most user friendly vape. It’s stealthy, compact and dead simple to use. If there are a few people partaking in the vape session, I’ll go with a desktop model usually. Both the E-nano and the Extreme Q do a fantastic job combining efficiency and vapor quality. The only downside is they have to be plugged in. The Extreme Q requires a bit more herb than the others in order to achieve peak performance, so it’s perfect for larger sessions. When it comes to purchasing your first vaporizer, or you’re planning on adding another to your collection, be sure to get a vaporizer that fits your needs. Even if cost isn’t an issue, don’t just go buy the most expensive vaporizer on the market and assume it’s the best available. Do your research!